Most of the people who are fond of playing games are using consoles like Play Station, Xbox and Nintendo Wii. 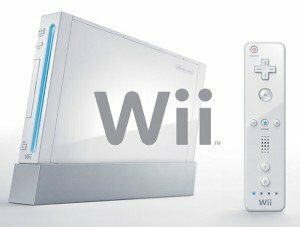 Wii is the console released by Nintendo and is currently a tough contender for other Gaming Consoles like Play Station Series, Xbox and others. Most of the people are using Wii because Nintendo provides one of the best gaming experience. But there are some bugs and issues. 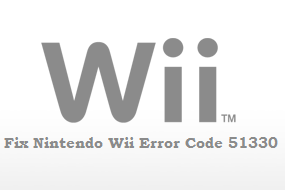 One of the issue faced by most of the users is Nintendo Wii Error Code 51330. This error occur while connecting your Nintendo Wii to the Internet, whenever someone tries to connect to Internet to play the game online or other different situations. Nintendo Wii Error Code 51330 can appear on your screen not just because of one particular reason. Below you can find different solutions on how to fix this error and you have to try them one by one. Here are some methods which you have to test one by one. Among these method, one will definitely fix the error. Make sure your Router Firmware is up to date, if not — update it. In most of the cases, users have typed a wrong password in their Nintendo Wii. Even if you think that password is correct, you should check every letter and its case (as is known, security passwords or security codes are case sensitive). Even a mistake where a small letter is typed using caps will not be acceptable. So try to look for the right password and type it correctly. If this method doesn’t worked for you, then try the below methods. This will reboot your modem and refresh all the settings. Sometimes this can help to establish new connections successfully. This is sometimes helpful and also it is the easiest and simplest method to resolve this issue. Also if you are unable to fix this Nintendo Wii error code 51330 using above method then try the below one. This is very crucial step, you have to check for new modification you have done in your Wi-Fi router. If you have changed your security from WEP to WPA or WPA2 PSK or vice versa, then please do the same in your Nintendo Wii. Check if your Wi-Fi router settings is the same as the settings saved in your Nintendo Wii. If it is enabled, then simply put the System’s MAC Address in the allowed list. If you are unable to put the address in the allowed list, disable the MAC Filtering. I am sure you have heard about the Firewall Protection. This thing creates a wall and sometimes prevent you from using Internet or rest of the things. So simply disable or make an exception in the settings. This will let you Wii for playing Online. This will definitely fix this Nintendo Wii Error Code 51330 without any difficulty else try the below method. This is very helpful as sometimes Wii is trying to connect using Dynamic IP Address but couldn’t succeed. So all you need to do is to set up or change IP Address & DNS manually. Use the left stick, select Internet –> press A. Tap on Connect to the Internet. Press X or tap Connections in the top right corner. Tap on the Internet connection you have to use. Tap the arrow on the right and select IP Address. Tap IP Address and enter your IP address. Remember adding 10 to the last number in the IP address listed in your PC. Lets say, If your PC’s IP address displays 192.168.1.4, you have to enter it into the Wii as 192.168.1.14. Tap Subnet Mask and enter it as it appears in your network settings. This is mostly 255.255.255.000. Tap “Gateway” and enter it as it appears in your network settings. An on screen message will ask you to configure the DNS settings. Tap Configure. Tap Primary DNS and enter in 8.8.8.8 –> tap OK. Tap Secondary DNS and enter in 8.8.4.4 –> tap OK. Tap Connection Test to test your connection. Why don’t you update about blackberry operating system? We’ll definitely look for Blackberry Operating System. If you have any problem or error, you have to face then please tell us and we’ll definitely come up with the solution for you. I tried all of these suggestions to no avail. This Wii has always been finicky with internet access but I’ve always managed to fix it in the past. But this time I’ve jumped through all the hoops and still have the error so I really don’t know what else I can try. Try setting the Wireless Channel to Auto in your router firmware settings (if it has that option) and make sure that your wireless network configuration in the router firmware settings are also set properly. Even if just one value is configured wrong, it can definitely mean the difference between connecting to a wireless access point successfully vs. beating your head up against the wall because you’ve attempted to connect dozens of times the same way, but just aren’t getting any result. More often than not, it’s simply just a matter of making a minor adjustment or two in your router firmware and subsequently following the routers instructions for connecting wireless devices in conjunction with the connection instructions on your Wii Console. If you don’t know what you’re doing, then it is advisable to contact a technician whom can help you set it up properly. Wireless Networking, in and of itself, is usually never as simple as 1,2,3 and then you’re done. There’s just too many variables with regard to the type of equipment one chooses to use. Thus the reason to go back to the router to make sure everything is copacetic there first, then go back and attempt to connect using the Wii Setup Menu. Remember, you must ensure that your router is correctly configured, or it simply will not work no matter how many times you attempt to connect using the Wii. If your router’s firmware is not compatible with the Wii console, it is possible a newer, updated version of the firmware could resolve your connection issue. For assistance in updating the firmware on your router, contact the router manufacturer. The router manufacturer can assist in locating the newest version and provide the appropriate process to update your specific router. The Wii firmware hasn’t been updated since 2010, your router would have to be ancient for its firmware to be an issue. One important thing to mention is that the Wii won’t automatically select the correct security the first time you try setting up a wifi connection, as I experienced when I recently got myself a used wii.